I don’t climb mountains. Mountains climb me. The mountain is myself. I climb on myself. Max Altitude 6461m / 21197 ft.
Mera Peak and Everest Base Camp Trekking is one of the attractive adventure routes on the foothills of the Himalayas providing the best opportunity to climb the highest trekking of Nepal and visit base camp of world highest mountain. Mera Peak — at an elevation of 6461m is the highest trekking peak allowed to scale by climbers and there is no doubt that it is the best peak to climb as the panorama of mountain view from the summit is unmatchable. 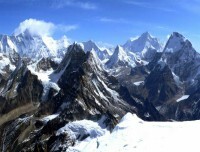 In clear blue sky, one can witness more than twenty mountain peaks including 5 eight thousanders — Mt. Everest (8848m), Mt. Kanchenjunga (8586m), Mt. Lhotse (8516m), Mt. Makalu (8486m) and Mt. 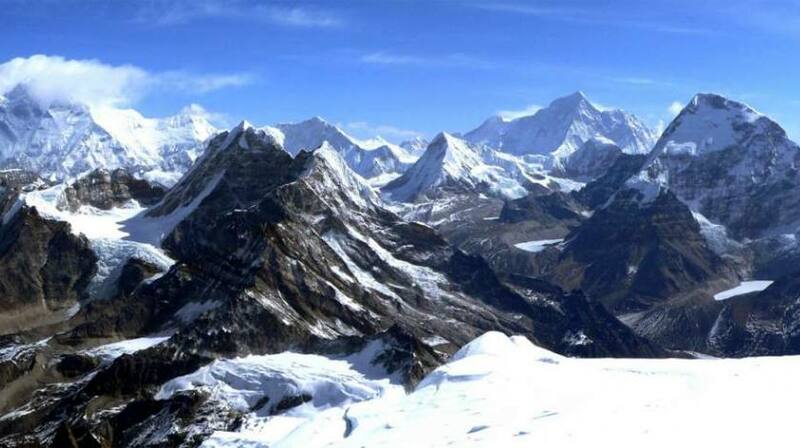 Cho Oyu (8201m) — world 1st, 3rd, 4th, 5th and 6th highest peaks. Everest Base Camp Trekking is one of the dream journeys for any trekkers and best chance to observe the cultural and natural beauty of the people and Himalayas. Walking through the Sherpa villages and visiting their monastery is an amazing to experience to collect and there are views of the mountains all along the trail which is nice and soothing to keep going to reach until reaching the destination. If the given itinerary is too long but still want to Climb Mera Peak — 15 days.